This is a stylish belt buckle featuring Mickey Mouse himself. 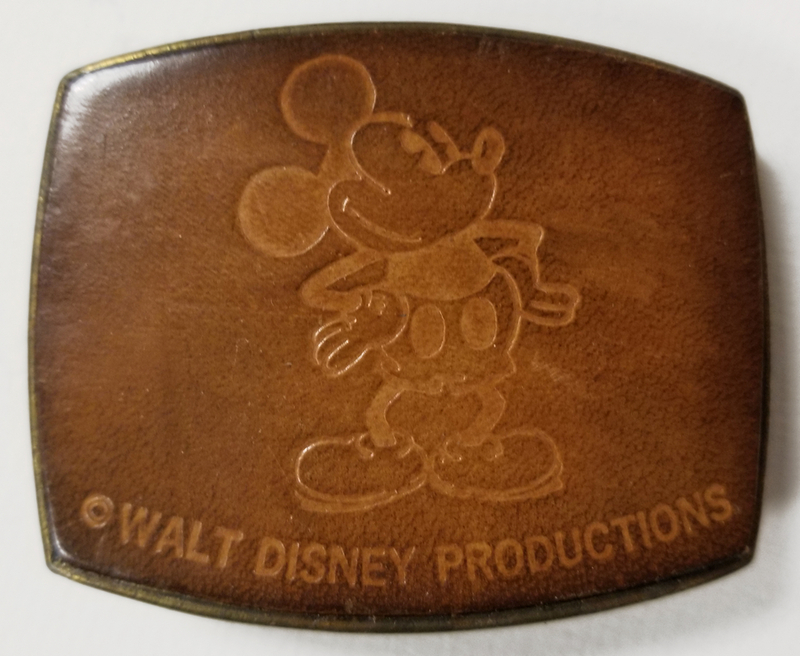 This wonderful buckle features an image of a very proud Mickey that is debossed into a layer of leather that is applied to a metal backing. I would guess that this buckle is from the 1970s, and it is in overall very good condition. 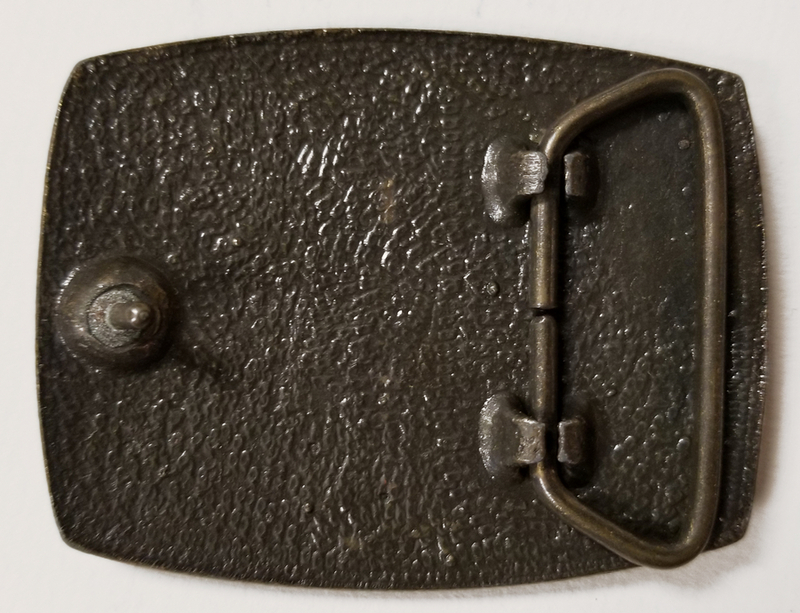 The face of the buckle measures about 2.25" x 2.75".